Handwriting practice is essential for improvement but it can get boring and kids become disinterested. 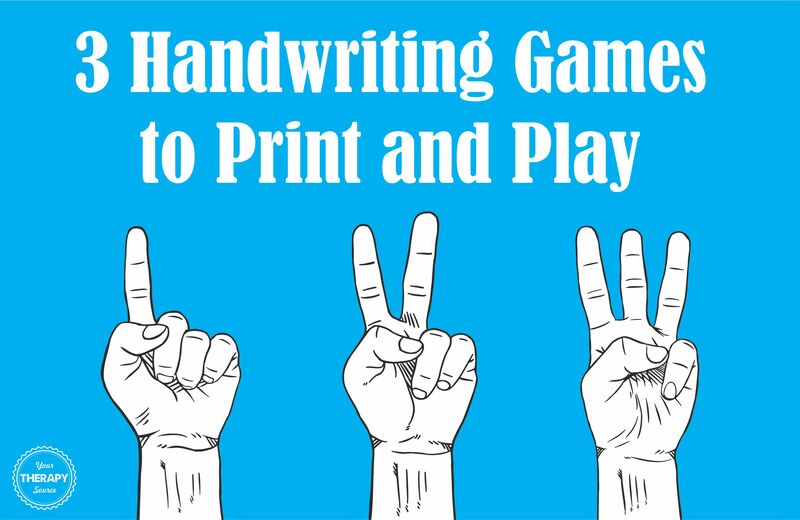 Try adding some fun to your handwriting practice with these 3 FREE handwriting games to just print and play. No prep required! 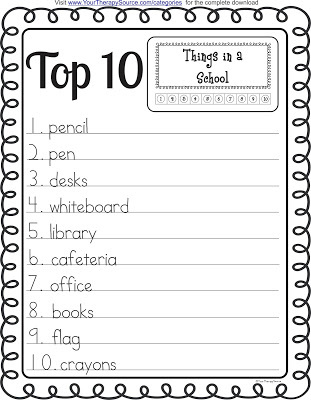 Category Games Freebie: PLAYERS: 1+ OBJECT OF GAME: Top 10 – List 10 words for each category card. SET UP: Print the Top 10 recording sheets the category cards. Cut apart the category cards. The single lined recording sheet is included in the freebie. If you do not want to write the words, grab a hole punch. Punch out the number in the category card each time you say a word from the category. If you don’t have a hole punch, color in each circle. Download the freebie here. 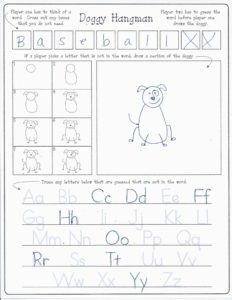 Let’s Hang Out – Doggy Hangman: Play hangman, practice writing letters and learn how to draw all at the same time! Download the Doggy Hangman freebie here. Letter Races B versus b: Cut apart the cards, practice writing B and b to see who will win the race! Download the Letter Race Bb page from the Letter Race packet.